I’m going to flashback to about 2 hours ago. We went to the Safari Park today with friends and the kids had so much fun. They literally ran themselves into exhaustion by 2:00. 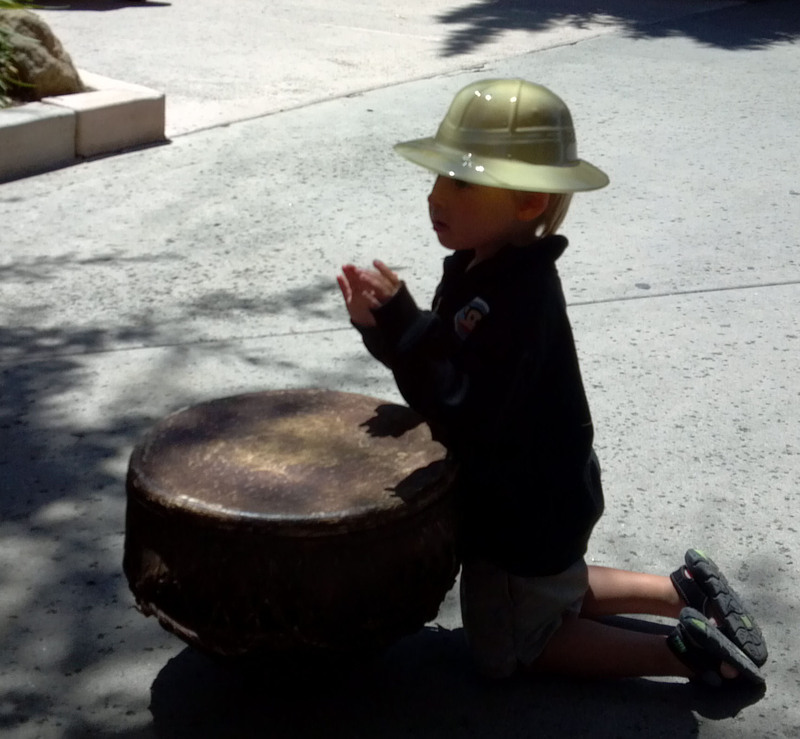 Whenever we go to the San Diego Zoo or the Safari Park, we are obviously going to check out the animals, but I love it when we happen upon some fun extras. Today was full of them! There were performers who I think were on America’s Got Talent or one of those shows. I don’t know if they ever won anything or not because I only enjoy watching the embarrassing performers – these guys (and girl) were definitely not in that category. 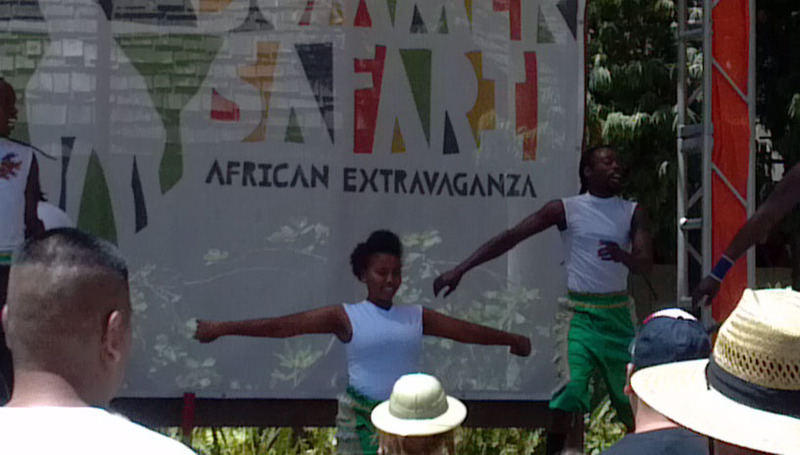 I don’t know the name of the dancers, but they did a lot of acrobatics, some fancy jump roping and fire limbo. I’m easily impressed when people are bouncing around and flipping effortlessly. I can do a cartwheel. Or if I’m getting really ambitious, I think I could land a round off, but other than that, I have no skills. I can’t even do a somersault anymore – I’m afraid I’ll break my neck. The woman in the second picture literally bent her body in half. Then she kept her head and torso in one place while the lower half of her body stepped around. It was one of the most unnatural looking things I have ever seen, but she did with a smile on her face the entire time. They also were playing the Follow The Leader Song. When we were in Riviera Maya, they played this song in the night club at the resort we stayed at every night. It’s so catchy and makes you want to shake what your mama gave ya. Rory learned how to play the drums – he’ll be able to draw on this when he’s sitting in drum circles on the beach in about 15 years. 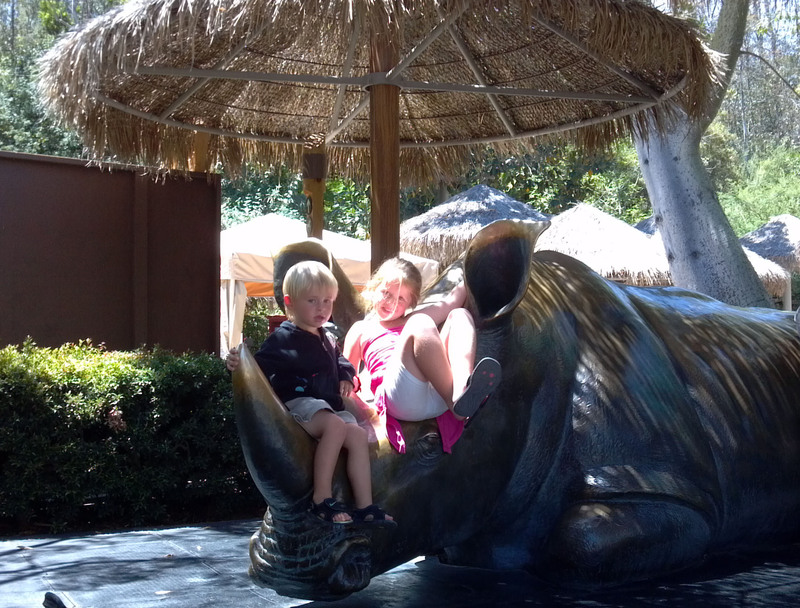 And we took our token picture of the kids on the black rhino. At one point the kids completely drenched themselves in a little water play area. We didn’t bring along extra clothes so Rory has on a sweatshirt that he had on earlier and I made a tube top out of Kamryn’s jacket. I just wanted that to be noted that I don’t let Kamryn wear bike shorts and a make-shift tube top in public without a reason. 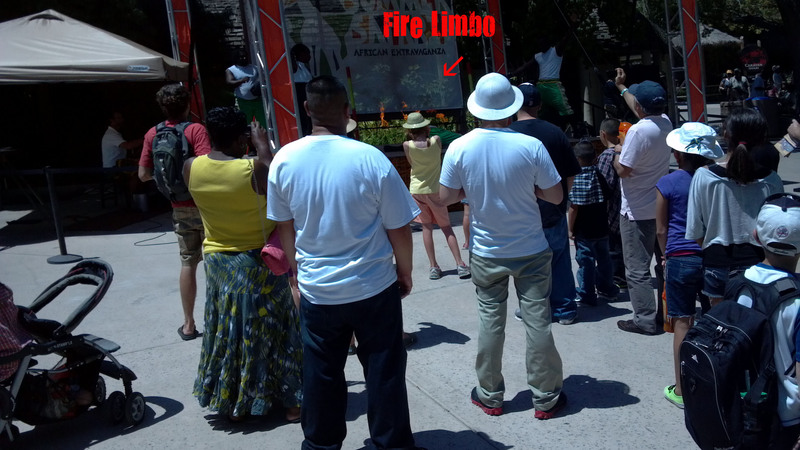 This entry was posted in Flashback Friday and tagged Acrobats, Fire Limbo, Safari Park by Amy. Bookmark the permalink. Yeah, we are really spoiled here. It gets in the upper 80’s with 50% humidity and everyone is complaining about how hot it is. My husband and I wonder how we ever survived living in the Midwest. We were at the Safari Park in Escondido – it’s about 10 miles from our house. HAHA! We lived in Iowa – we were both born and raised there. Exactly like Captain Kirk and Radar from M*A*S*H.